The Solution-Ready Agilent 7800 ICP-MS combines proven, robust hardware, auto-optimization tools, and Pre-set Methods to simplify routine analysis. With high matrix tolerance, wide dynamic range, and effective control of polyatomic interferences, the hardware takes the uncertainty out of analyzing complex or variable sample matrices. The 7800 ICP-MS is extraordinarily easy to set up and use, so you can quickly produce reliable results in the widest range of sample types. AGILENT OPENLAB ELECTRONIC LAB NOTEBOOK- NOW AVAILABLE AS A MOBILE APP! OpenLAB Electronic Lab Notebook (ELN) creates a central hub where all team members can go to document, organize, and share information. A new mobile App makes it easy to bring OpenLAB ELN wherever your analytical work takes you. 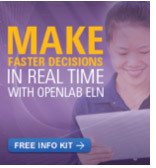 Plus, get up and running quickly with OpenLAB ELN in the Cloud. The new OpenLAB ELN mobile App is designed to sync with your existing OpenLAB ELN desktop software, making it easy to keep OpenLAB ELN at your fingertips wherever you need it. Engineered to be Agilent's most robust triple quadrupole system ever, the 6470 delivers attogram-level sensitivity and accurate quantitation with up to six orders of linear dynamic range. The system's precision and reliability make it an ideal choice for food testing, environmental, pharmaceutical and clinical research applications. Researchers need to meet stringent quantitation demands, including analytical workflows that require time-consuming sample preparation and complex matrices that may contribute to inconsistent results. The 6470 addresses those problems with several advanced technologies. Using Agilent reagents, an Agilent Bioanalyzer, and Agilent DNA Polymerase enzymes, an international team of scientists were able to generate full genome-wide data from 69 Eurasians who lived between 8,000 to 3,000 years ago. This is more than twice as many subjects as has ever previously been studied. Metrohm is pleased to present the new ICON Analyzer, a dedicated online photometer for near-continuous monitoring of critical parameters in any kind of water. The ICON Analyzer is an all-in-one system controlled via a graphical user interface and comes preconfigured and programmed for whatever application requested by the customer. The new ICON Analyzer is the latest successor in the long tradition of successful single method online analyzers from Metrohm Process Analytics. Metrohm has almost 1800 documented applications for virtually any element and numerous compounds in any kind of matrix. So it is very likely that there’s a document that gives you exactly what you need – an application how to determine parameter x in matrix y by method z. Alas – how to find this application? 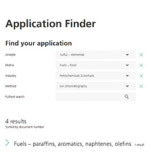 With the new Metrohm Application Finder it’s simple! Browsing the Metrohm database with the new Metrohm Application Finder makes life in the laboratory so much easier. It is an extremely powerful tool: four filter categories – "analyte", "matrix", "industry", and "method" enable you to specify and narrow down you search, for example by combining two, three, or even more filters from the four categories. To this end, each application in our database is indexed, depending on its content. Dr. Keller, who directs the Center for the Environmental Implications of Nanotechnology at the U.C., Santa Barbara, has earned international recognition for his research into the uptake, accumulation and biotransformation of nanoparticles in natural waters and soil. An instrument failure is serious business. It wastes time, sample, effort and money. Worst of all, it throws your lab off schedule – hurting your overall productivity, causing you to miss important deadlines and even calling your lab's overall reliability into question! WANT TO BE FEATURED IN OUR NEXT NEWSLETTER? Do you have a story to share or has something you discovered had a positive impact on you or your laboratory? Share your story with us, and it could be a feature in our company newsletter! KEEP UP-TO-DATE WITH THE LATEST INDUSTRY NEWS. 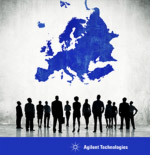 We sent out this message to all existing Agilent Technologies and K’(Prime) Technologies customers. ©2015 K'(Prime) Technologies. All rights reserved.